Massachusetts birders this spring were thrilled by the exceptional numbers of Bay-breasted Warblers present during the May migration. Joining these inflated Bay-breast numbers were also above average numbers of Cape May and Tennessee warblers. Was this a coincidence? Probably not. The key to their local abundance this spring probably lies in the fact that these boreal forest breeders are “spruce budworm specialists”. 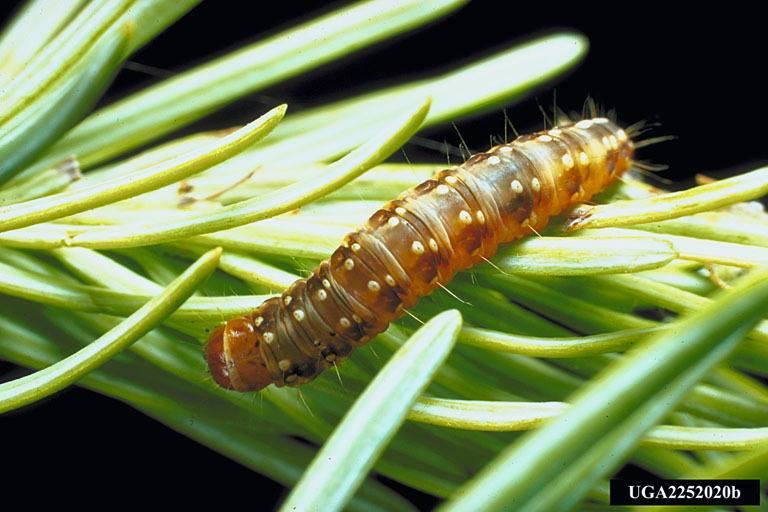 The spruce budworm (Choristoneura fumiferana) is a small boreal forest moth whose larvae periodically undergo population explosions capable of destroying huge acreages of spruce/fir forest in Canada and beyond. 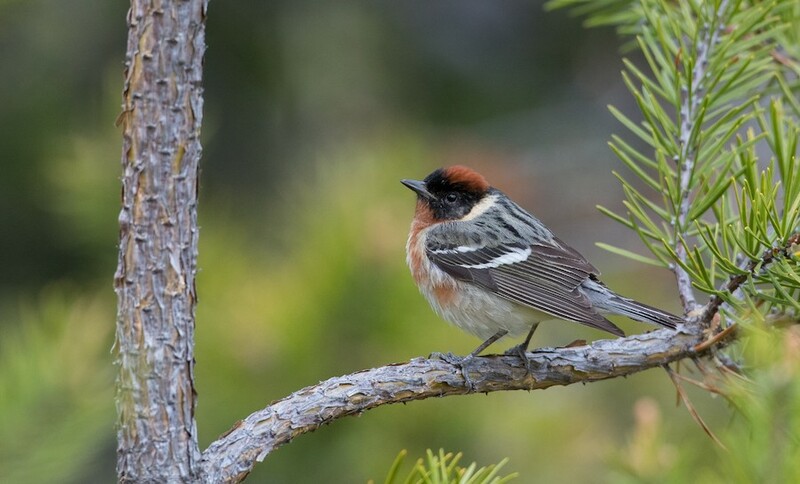 Under normal circumstances, boreal forest breeding birds such as the “spruce budworm specialists” mentioned above, are major predators of spruce budworm caterpillars. When budworm populations periodically get out of control, the numbers of these budworm-eating warblers increase substantially wherever the irruption is taking place. 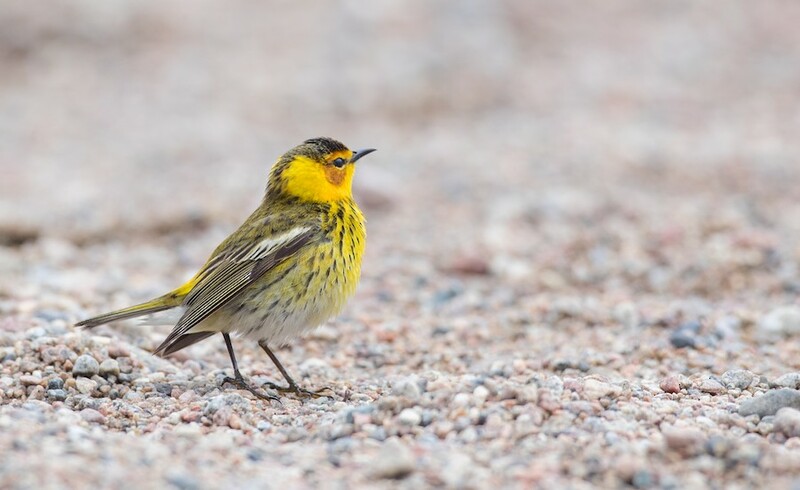 When a superabundance of food exists, the warblers lay more eggs and successfully raise more young than in normal years, and often do so for several years in succession, or as long as the budworm outbreak persists. These “boom and bust” population cycles are similar to what periodically happens to lemmings in the Arctic, or to certain species of forage fish in the ocean (e.g., sand lance or menhaden). When these overabundances of food exist, certain predators are capable of maximizing either their reproductive output or their local abundance. Often the phenomenon causing a detectable local abundance is far removed from the actual cause of the event. Classic examples detectable in the Bay State are the recent major Snowy Owl irruptions of the winters of 2013-14 and 2017-18, and the menhaden/Great Shearwater event in Provincetown during the late summer of 2017. In the case of Snowy Owls, the lemming events responsible for the Snowy Owl irruptions into Massachusetts were far north in the Arctic, not locally in Massachusetts. However in the instance of the menhaden event, the factors leading to the Provincetown disaster were far more local and took place in Massachusetts’ nearshore waters. To put the Bay-breasted Warbler event into an extravagant perspective, consider a third event that took place on May 28, 2018, on the north shore of the Saint Lawrence River near Tadoussac, Quebec. On this date six highly experienced observers tallied an estimated 144,324 Bay-breasted Warblers, 108,243 Cape May Warblers, and 72,162 Tennessee Warblers in nine hours! Partly responsible for these unprecedented and extraordinary one-day totals was a combination of weather events that created a “perfect migration storm”—the full details of which lie beyond the bounds of the current story. More to the point, however, these massive and unprecedented numbers of “spruce budworm specialists” were part of what are almost certainly inflated populations of these species bound for budworm-besieged areas of boreal forest. What Massachusetts observers enjoyed this spring was clearly only a tip of a much larger iceberg whose full extent has likely been building slowly for several past breeding seasons but wasn’t fully revealed until May 28 at Tadoussac, Quebec! This entry was posted in Birds and Birding and tagged bay-breasted warbler influx, bay-breasted warbler irruption, bay-breasted warbler migration, bay-breasted warblers, bay-breasted warblers this year, boreal warblers, cape may warbler irruption, cape may warbler migration, cape may warblers, population cycles, spruce budworms, spruce warblers, warbler population cycles on July 3, 2018 by Wayne Petersen.